Stretch your body and relax your mind! 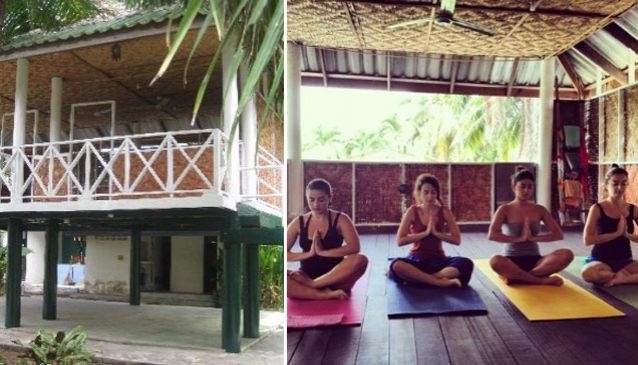 Yoga instructor Becky teaches practices to benefit both aspects to improve wellness and happiness at her sala The Little Yoga Room in Chalong. Becky teaches the Ashtanga Yoga Primary Series. Classes include beginners to students who have practice on their own regularly. All are welcome! Classes last for approximately 90 minutes. Ashtanga Yoga seeks to improve circulation and give a light and strong body and calm mind. It synchronises breathing with a series of postures, allowing for the detoxification of muscles and organs through sweat. Beck is also a certified NLT (Neuro Linguistic Tapping) instructor. NLT seeks to help students let go of painful events from the past and to lead a life more fulfilling. Some issues treated are depression, physical aches and pains, low self-esteem, relationship issues, anger and frustration and more.